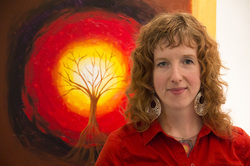 About/Contact - Art Therapy Studio Chicago, Ltd. Art Therapy Studio Chicago, Ltd.
Mary has been working as an art therapist since graduating from the School of the Art Institute of Chicago in 2000. She was worked with a wide variety of populations in various settings. She specializes in treating adults and adolescents using a person centered approach. Her specialty is in working with trauma, abuse, grief and loss and mood disorders. She has been teaching Graduate Art Therapy Courses since 2008 and in 2010 served as President of the Illinois Art Therapy Association. She has presented locally and nationally on the practice of art therapy. She has been in private practice since 2007 and incorporated Art Therapy Studio Chicago Ltd in May of 2013.